Borth is renowned as a beautiful place for a holiday, with tourism as an important local industry. The beach plays a significant role in the attractiveness of Borth to residents, visitors, bathers and surfers alike, with the beach particularly well known as a venue for surfing, benefiting as it does from Atlantic waves passing up the Irish Sea from the south and breaking directly on the long sandy beach and shingle ridge. Borth beach also plays an important role in the coastal processes and sediment transport regime along the Ceredigion coastline, but because of its location directly on the coast Borth itself has a history of coastal flooding and erosion, primarily due to the overtopping of the defences and the breaching of this shingle bank. The present coastal defences were designed in the 1960s, and the timber groynes and breastworks directly fronting the village were constructed in stages during the early 1970’s, with the groynes reducing the longshore drift of sediment, and the breastwork providing a back stop to protect the shingle bank on which so much of Borth has been founded. Concerns have been raised by both residents and engineers employed by the Authority regarding the lifespan of the existing defences, and whilst they have served the community well over the last 40 years or so, they are now coming to the end of their useful life. The risks to the village will increase with climate change as anticipated sea level rises and increased storminess take hold, and the slow but ongoing removal of the beach will continue to accelerate thereby reducing the effectiveness of the defences and the shingle ridge at holding off waves. Through the various studies that Ceredigion County Council have procured over the last 10 years it has been demonstrated that, without intervention, the existing timber breastworks and groynes throughout the frontage would continue to deteriorate and as a result, the shingle bank would diminish. In time, the protection afforded to Borth by the shingle bank would disappear, leading to a general collapse of the bank itself, resulting in major economic losses to residential properties, businesses and the tourist industry, as well as the disruption to, if not the loss of the village and transport infrastructure as it currently exists, and as a result, the local community. In 2000, Ceredigion County Council commissioned Royal Haskoning to prepare a feasibility study into the possibility of undertaking a coast protection scheme along the frontage from Borth to Ynyslas, and as part of that study it was necessary to undertake an assessment of the existing defences. That initial assessment concluded that a number of the existing defences were within 10 years of failure, and without significant coast protection works potentially catastrophic losses would be witnessed in Borth in the following 10 to 20 years. That report is now almost 10 years old, and you can therefore appreciate the urgency with which the scheme now needs to be moved forward. The preferred option as indicated in the original report was for rock control structures located on the beach. On the 30th April 2001 Borth Community Council arranged a ‘Visioning Meeting’, which was attended by 150 residents, to clarify the ways in which any scheme might be pursued for the maximum support of its residents, with the specific aim of gathering the views of the community. Following consultation and meetings with community representatives, and at the community’s request, a study was commissioned by Ceredigion County Council which was completed in May 2004 which investigated the possible inclusion of a Multi-Purpose Reef in the proposed “Borth Coastal Protection Scheme”, bringing added benefits to the scheme beyond the principal function of coastal protection - that of surfing amenity and a wider beach along the village frontage. The results of the study into the Multi-Purpose Reef were positive, and as a result a further option for the Coastal Defence Scheme was added to those outlined in the initial feasibility report. 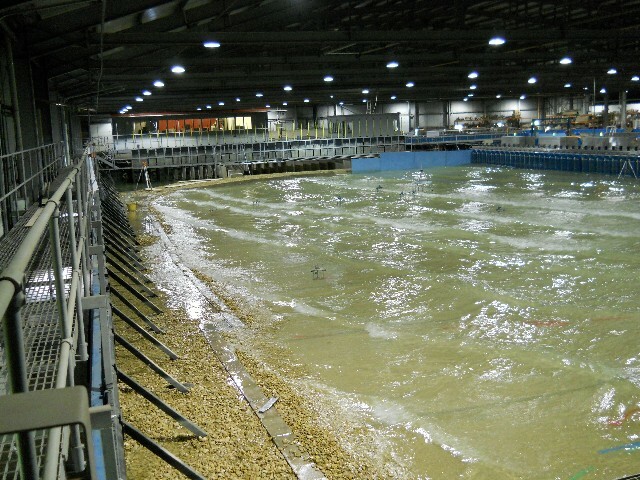 The preferred option based on an analysis of Technical Advantages, Economic Benefits, Amenity Value, Environmental Impacts and Safety Considerations, and following further consultation with the community was that of Rock Beach Control Structures with a Multi-Purpose Reef and Beach Nourishment. An Outline Design Study was then carried out in 2008 to determine the location, size and quantity of structures required to maintain a sufficient beach profile to protect the village of Borth, and the Community was once again consulted on this process. Throughout this process, Ceredigion County Council has been in continuous dialogue with the Welsh Assembly Government and as a result of the evidence presented to them through the various studies, the scheme has secured £7m of funding for 2009/10 and 2010/11, comprising Coast Protection Grant from the Welsh Assembly Government and Convergence Funding from the Welsh European Funding Office. This will enable us to move the project forward and undertake the first phase of the scheme which will involve the construction of the multi-purpose reef, two rock breakwaters and two rock groynes. However, the works must be completed by March 2011, putting pressure on the team to complete the design, secure planning consent and procure a construction contractor in time to start work in early autumn 2010. What are we going to build for £7million? The strategy identified a scheme to maintain the direct connection between village and beach, as it was an important tourism draw. This connection will be maintained by shingle and sand renourishment of the beach together with the construction of a multi-purpose reef, rock groynes and breakwaters. Multi-purpose Reef - Specialist reef designers (ASR) have been appointed by Royal Haskoning to assist in the design of the Multi-Purpose Reef element. The reef will be constructed near the Craig y Delyn cliffs to the south of Borth and will generate a wider beach inshore, which will act as the coast protection component. It will be submerged at high tide and will influence the waves passing over it to improve surfing conditions. It will not create waves from nothing but will instead act to focus and shape the waves to improve surfability. Beach Rock Groynes & Rock Breakwaters - Two rock groynes and two rock breakwaters will be placed at intervals along the beach, and these will retain the shingle, in much the same way as the timber groynes do now. Beach Nourishment - Sand and shingle will be placed on the beach to increase its width. This will provide Borth Village with more protection from incoming waves, as waves will be breaking further offshore and they will therefore have a wider beach over which their energy is released. The whole scheme has been designed to be adaptable and this will allow it to be altered in response to actual climate change even though the scheme has been designed by making allowances for predicted sea level rise and the possibility of larger waves. These considerations and future adaptability will give the new defences a longer life. The flood and erosion risk will be lowered for the village of Borth, with the standard of defence being increased to provide protection against a 1 in 100 year event. The construction of rock groynes and breakwaters and the offshore reef structure will control untoward movement of the shingle bank in the area of Borth village. The shingle bank and the sand salient which will result from the construction of the reef will be artificially nourished through the importing of 25,000 tonnes of shingle and 15,000 tonnes of sand which will extend the beach seaward thereby providing a wider beach and more protection against breaching and overtopping. The Multi Purpose Reef, whilst primarily providing coast protection benefits, will also help form existing waves into a better shape for surfing, and will give surfers a longer controlled ride. These waves will break further offshore than at present which means that by the time they reach the beach itself, they will have lost much of their energy and power which will assist in the coast protection requirement. The Multi Purpose Reef in combination with the nourishment of the beach will give coast protection to the village of Borth. The Coastal Defence Scheme for which we are seeking to obtain planning permission extends from the Craig y Delyn cliffs to the south of Borth all the way along the coast to the Ynys Las Dunes in the north. Its size and cost means that it needs to be built in a number of phases – possibly over a period of around twenty years, and we are currently looking to construct the works as required under what we have termed to be Phase 1. A great deal of work has been going on since Royal Haskoning was appointed to undertake the detailed design of the scheme in October 2009. A Public Consultation Event attended by approximately 120 people was held at Borth Community Hall on 3rd December 2009 to inform the community of progress. A presentation was given outlining the current design and activities which would need to be undertaken in order to progress the scheme, and questions were answered by representatives from Ceredigion County Council, Countryside Council for Wales, Environment Agency (Wales), as well as the Council’s design and environmental consultants, Royal Haskoning and Atkins respectively. These works are now nearing completion, and it is anticipated that the applications in respect of the FEPA Licence and Planning Permission will be submitted in early June 2010. It is proposed to hold a further public consultation/exhibition event at Borth mid June 2010 in order that the public can examine the drawings submitted for Planning Permission and have the opportunity to discuss the scheme with officers from the Authority, together with representatives from Royal Haskoning as designers. Subject to the necessary consents being received, it is anticipated that a contractor for the construction phase will be appointed by the end of August, with a programmed start on site towards the end of September 2010.